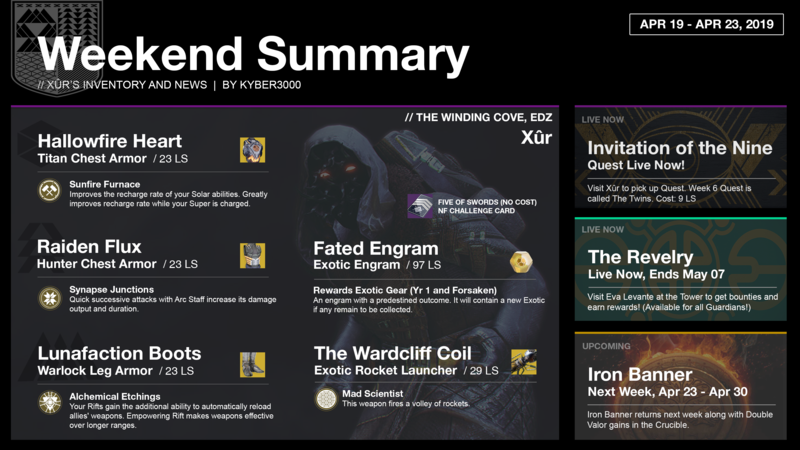 Destiny 2 | XUR EXOTICS & NINE INVITATION! Xur Location, Bounties & NEW Exotics | 19th April 2019 by xHOUNDISHx on YouTube << Click link for more Destiny 2 videos! Your welcome 😀 Hope you have a great weekend!